Freeware EHM throwback Nashville dynasty - Free the Sabercat! I always liked the freeware version of EHM and had the urge to play it again recently. After toying with a couple of story ideas, here is what I came up with. I will be playing with the default rosters and settings of the game, starting with the 2001-02 season, taking control of the Nashville Predators. Here we go! The Nashville Predators hockey club has appointed Austin Killer as their new general manager. David Poile, who has been with the team since they came into the NHL in 1998, had to resign due to personnal reasons. The Predators, being a product of NHL expansion, still having a pretty weak roster, didn't receive a ton of interest in their vacant GM position. Killer, a 27 years old Harvard alumni hailing from the state of Minnesota, has a background in politics. 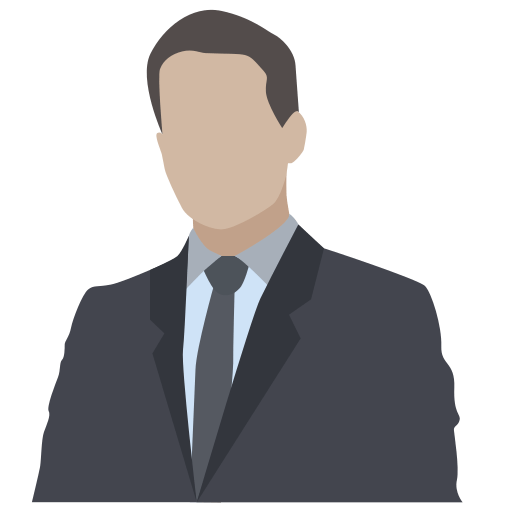 His hockey curriculum includes pond hockey all-star, minor league assistant coach and more recently, part-time scout for the Harvard hockey program. Local media are saying he won the job through his father's connection with team owner Craig Leipold. 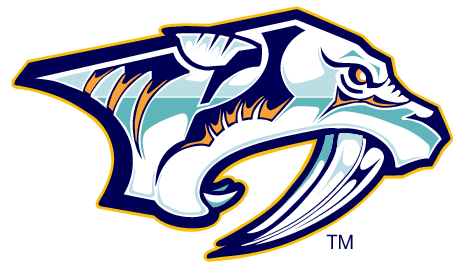 The state of Tennesse was fortunate enough to enter the brotherhood of the top hockey league in the world when the Predators were awarded a hockey club, to start play in the Fall of 1998. The city had tried to lure the New Jersey Devils to their brand new arena back in 1995, but the plan fell through. NHL commissionner Gary Bettman later announced that Nashville would headline a new dawn of NHL expansion, starting with the Predators, followed by hockey clubs in Atlanta, Minnesota and Columbus. David Poile and Barry Trotz were quickly named general manager and head coach. Once a name and logo was decided on, Nashville took part in the expansion draft, in which they were able to select one player from each existing NHL franchises (26). Players selected included Andrew Brunette, Scott Walker, Uwe Krupp, Al Iafrate, and Mike Richter, although the latter three never played a game for the Predators. The team also participated in the NHL entry draft, drafting David Legwand with the 2nd overall pick. Legwand is considered by many the current franchise player of the hockey club. They finished the 1998-99 season second-last in the West with a 28-47-7 record, and proceeded to select goaltender Brian Finley 6th overall in the draft. They also had accumulated five 2nd-round picks, choosing Jonas Andersson, Adam Hall, Andrew Hutchinson, Ed Hill and Jan Lasak. The team barely improved In 1999-2000, finishing with a record of 28-40-7-7, for last in the West. At the draft table, they picked Scott Hartnell 6th overall, and Daniel Widing 36th. For their 3rd NHL season, the team led by Barry Trotz finally improved, finishing 10th in the West with 80 points. In the 2001 NHL draft, they chose defenseman Dan Hamhuis 12th overall as well as Timofei Shishkanov and Tomas Slovak in the second round. Which brings us to now. GM Austin Killer has decided to keep Trotz on board, and the team head coach has just made the finishing cuts to end the club's 2001 training camp. It is worth noting that Killer made as many as three free agent acquisitions after being hired, in order to let some of the younger players of the organisation further develop in the minors. Those acquisitions are forwards Todd Warriner, Aaron Gavey and John MacLean. Also, after training camp was over, he dealt goaltender Mike Dunham to Calgary for young center Marc Savard, who is slated to pivot the Predators' 2nd line this year. Killer has said he plans on dealing some of his veteran players for picks and youngsters during the upcoming playing season. Killer pulled the trigger on two moves in the first half of the season in order to get his team younger. First of all, he sent Tom Fitzgerald to the Carolina Hurricanes in return of a 3rd round pick. To replace him in the line-up, Denis Arkhipov was called up. Couple of weeks later, it was Cale Hulse who was shipped out, this time to St.Louis for a young 18 years old prospect; Simon Skoog. To replace Hulse, Andy Berenzweig was called up from Milwaukee. Trotz and Killer have both given thumbs up to the play of Legwand, Ronning, Walker, Timonen, Delmore and Vokoun so far this season. A couple of important deals were made in the first half. Vancouver inexplicably sent their top scorer Markus Naslund to their rival Edmonton, in return for two prospects; Alexei Semenov and Jan Horacek. At that point, Vancouver was 4th in the west. Other deals include Phladelphia sending goalie Brian Boucher to Florida for Ivan Novoseltsev, Brad Ference and Ivan Majesky, as well as Montreal acquiring veteran Mike Ricci from San Jose for Jozef Balej and young tender Olivier Michaud. Columbus and Atlanta, two recent expansion teams, have been struggling real hard this year. In fact, the Blue Jackets actually had a 17-game losing streak (this is not a typo) earlier in the year. Scott Walker showed a mean side this year, finishing with an astonishing 330 penalty minutes, second league-wide only to Montreal's Francis Belanger, proving why our team is called the ''Predators''. But Walker's violent behavior this year didn't save the club from achieving mediocre results, posting only 26 wins in 82 games for 60 points total, good for third-worst in the National Hockey League. The team's demise was in part due to a February trade made by GM Austin Killer that saw both captain Cliff Ronning and veteran winger Greg Johnson shipped out to Ottawa, drying up the team's offensive output in one go. This swap kickstarted moves from all over the league, leading up to the trade deadline. Back from the rising Ottawa Senators, Killer got a 1st round pick for the upcoming draft as well as prospects Antoine Vermette and Ray Emery. It is considered a very solid deal by many experts - for the future. Both prospects will join the Milwaukee Admirals next year. To replace the two traded forwards, Vladimir Orszagh and Martin Erat were called up from the farm and Scott Walker was named interim captain. The loss of then leading scorer and captain Cliff Ronning definitely hurt the team a lot. Killer gave a vote of confidence to his head coach Barry Trotz, and promised the team would be fighting for a playoff spot as soon as next season. To finnish, GM Killer gave his analysis of the hockey season for the farm team in Milwaukee, who finished with 46 wins and 95 pts. He gave bad grades to Martin Erat (who ended up the year in Nashville) and former 6th overall pick G Brian Finley even though they posted good stats, while pumping up the tires of the other goalie Jan Lasak as well forward Petr Hubacek and defensemen Mikko Lehtonen, Alexei Vasiliev, Richard Lintner and Pavel Skrbek. Killer said the latter two will surely be on the pro team next season. A devasting news shocked the hockey world on March 25th, 2002 when New Jersey's Scott Niedermayer suffered a major wrist injury in a game against the Islanders. It was later announced that Niedermayer would never play hockey again, and was forced to retire from the game. This is an immense lost for the Devils, one of the league's top team and top contender for the Stanley Cup. Niedermayer was only 28 years of age, and on the way to greatness. What a weak trade for the Bolts. The Edmonton Oilers caused a huge surprise in round 1 by sweeping the star-ladded Colorado team. Rem Murray posted an impressive 7 points in 4 games and Tommy Salo outplayed Patrick Roy, who had a .847% and a 4,79 GAA in this series. But Colorado wasn't the only top team in the West to choke in the opening round, as the Dallars Stars lost in 6 to the Chicago Blackhawks. This opens up the way for both Detroit and St.Louis. In the western conference, Detroit will host Edmonton and St.Louis will play Chicago. In the east, it will be interesting to see how Mario Lemieux and his Penguins fare against the Devils, while Boston will face-off against Philadelphia. St.Louis didn't have much difficulty handling the Hawks, and will now face-off against their close rivals, the Red Wings, who went to the wire against a surprising Oilers squad. In the east, Philly has been very impressive, but do they have what it takes to defeat the President Trophy champs? New Jersey totally embarasses the Flyers in the East finals. Meanwhile, the Blues get to the finals by a hair. After defeating Hasek and his Wings, they now have to take on Brodeur and the Devils, who have only lost once in the first three rounds. The Devils will obviously be missing Scott Niedermayer, but also Ken Daneyko. They have an amazing offense to counter those losses though, as well as Brodeur in top form. The Blues are weaker in nets, but have an amazing roster overall, lead by Chris Pronger and Al MacInnis on D. Here are both clubs line-up heading into the 2002 Stanley Cup finals. The St.Louis Blues got up to a 3-2 lead in what was a very tight series, but lost game 6 at home, when Scottie Gomez scored late to give the Devils a 3-2 win. The Blues shouldn't have made the mistake of letting New Jersey come back in front of their home crowd for an ultimate clash, especially with a legend such as Martin Brodeur between the pipes. Brodeur shut the door in game 7, silencing a very potent Blues offense, and the Devils won 3-0, clinching their 3rd Stanley Cup (1995, 2000, 2002). Brodeur's performance, him who stopped 29 shots in that game, is even more incredible seeing as though Doug Weight posted 34 points in these playoffs, Tkachuk 33, and Pavol Demitra scored 16 times. Those are astonishing numbers, near all-time records held by the likes of Gretzky, Lemieux and Bossy. Despite all of this, the Devils held on to win it all, and the Conn Smythe for playoff MVP went to a member of the winning squad; Patrik Elias, who had 23 pts in 20 games. After every season I will update the history of the Nashville Predators with stats and season results. In this post, we will preview the top-10 for the upcoming NHL entry draft. The Thrashers will be picking first, the Blue Jackets second, and the Predators third. Sutter is undoubtly the top pick for this draft. He is great at everything, has top-notch speed and hands, is incredibly mature for his age and can play in all situations. We could see him becoming a key 1st liner for any time that drafts him. The Fin center could be an home-run pick for the second team to talk at the draft table. He has amazing offensive abilities, can shoot the puck extremely well and make plays out of nothing. Will need to upgrade his skating a little bit. Long is a big power forward that loves to crash the net and fight. He has good hands and agility that allow him to score goals in tight, or make plays on the rush. He is the kind of guy teams love to place on their top-line to create havoc next to finesse players. Amazing playmaker with great vision, Plaxton moves very well on the ice and and can do a lot of different stuff every shift. The top D in this draft, Lyapunov is an excellent skater that plays the body well and can be physical. He is extremely smart and always makes the right plays. He has good enough skills that he can join the rush and make solid outlet passes. Bowen is a guy that just does everything well, but still needs to work on his defensive game a little bit. He is big and skilled and knows how to score goals. Inward is an all-out offensive player with amazing speed and hands of gold. He can snipe from anywhere in the offensive zone, but will need to upgrade his two-way play. Here is another offensive guy that needs work defensively. He is finesse player with a good arsenal of shots and is a great skater. A smart defenseman that is considered a defensive-minded guy, he does all the little things well. He is always well positioned, he can hit, fight and defend extremely well. A very small winger with a ton of skills, Antipov plays with an edge that allows him to make space around the net to score goals. He is a solid skater and understands the two-way game. It was not a surprise to hear the Atlanta brass announce Darcy Sutter as the first pick of the draft. Sutter could come in right away and provide quite a top-3 up front for the Thrashers alongside Ilya Kovalchuk and Dany Heatley. The first surprise of the draft happened right after, when Columbus selected russian defenseman Grigori Lyapunov, ranked 5th in the preview. Nashville picked power forward Boyd Long to add to their young forward core that includes another power forward in Scott Hartnell. Defenseman Joe Wahler, ranked 9th in the preview, fell all the way to the 24th pick, were the Stanley Cup finalists, the St.Louis Blues, made him their first choice of the draft. The Nashville Predators will be looking to build on a putrid season in 2001-02, their worst ever. To do so, not only will they need to find quality players to upgrade the on-ice product, but they'll also have to replace a couple of players that left. First of all, defenseman Bill Houlder and forward John MacLean have both decided to retire. Furthermore, GM Austin Killer has decided not to renew the contract of Todd Warriner. To replace Houlder, we already know that farmhands Pavel Skrbek and Richard Lintner will graduate, so that means that both the D and the goaltending is set for the Predators. You can judge of the skill level of the above players by looking at how much they will be making... Only one player above $1M ! Once July 1st hit, Killer didn't waste any time, replacing both Warriner and MacLean in the team's line-up by signing Kirk Muller and Shean Donovan. They will have similar roles as Warriner and MacLean had, which were bottom-line minutes and defensive missions. Muller, a grizzled vet, should be a mainstay on the Predators' 4th line this upcoming season. The biggest UFA signing of the summer was Bill Guerin going to the Dallas Stars, who already have quite a solid team, for 2 years ($4M per year). Also, Ottawa dealt Anton Volchenkov to Toronto for Carlo Colaiacovo, and Carolina dealt Erik Cole to Phoenix for Ossi Vaananen. Finally, days before the opening of training camp, GM Killer announced a big deal. This trade has created a buzz in the city of Nashville, as fans and media members alike approve of the direction the club is taking. Killer, who had mentionned he was looking to acquire an extra first round pick in the last draft, ended up deciding to keep his assets for another type of deal. In fact, he traded former 6th overall pick Brian Finley along with dman Gabriel Drahas (drafted in the 4th round this summer) and a 4th round pick to the San Jose Sharks for forward Patrick Marleau. Marleau, 22, will provide a lot of speed and defensive skills to the Nashville line-up, as well as fitting awfully well with their main core due to his young age. The trading of Finley was made possible by the recent acquisition of Ray Emery from the Sens as well as the great play of Jan Lasak with Milwaukee. Actually, many are saying Chris Mason's spot on the main team could be in danger during training camp because of Lasak. Killer promised the Predators would lock down a playoff spot in a tough Western Conference in 2002-03, despite finishing 3rd-worst in the NHL last year. In training camp, 3rd overall pick Boyd Long scored 4 pts but was still returned to juniors, as Killer sticks to his plan of being patient with young players. Good showings by Skrbek and Lintner had them lock up their spots on D, while goalie Jan Lasak lasted up until the very last day of camp and gave Chris Mason a run for his money. After sending him down, Killer said that ''something is in the works'' concerning Lasak. Martin Erat stayed with the big club, but may go down to Milwaukee later, depending on many factors. It was after a very poor start that it happened. Usually, executives will wait a little, be patient, let the first months play out. But after losing five of their first six games, the Nashville Predators didn't just stand by. They acted by acquiring 26 years old winger Richard Zednik from the Montreal Canadiens in exchange for prospect Maxime Lemay (3rd rounder in 2002) and a 2nd round pick in 2003. Unfortunately, the bad start wasn't the only bad news Nashville got in October. Vitalii Yachmenev got into an incident with Erik Rasmussen, seriously injuring his ankle. He will be out of action for at least 6 months, or until the playoffs, if the team makes it. Then, in November, the club lost their #2 D Andy Delmore with a chest injury, hurt for more than a month. This, combined with a 6-10-1-1 record forced GM Killer to act again. And boy did he act. After negotiating all night with Sather from the New York Rangers, it was announced on a cold December morning that the Predators had just acquired Eric Lindros in return for goaltender Chris Mason, prospect Olivier Setzinger and a 2003 1st round pick. The Rangers, out of the playoffs picture, were looking to shed some salary, and at that moment Nashville's pick was set to be the 4th overall pick of the draft, so it was worth a lot. With Chris Mason gone, Jan Lasak was recalled, with GM Killer claiming that he can play at just as high a level as Mason had done in the backup role, behind Vokoun. Unfortunately, the injury bug didn't stop there, as the team lost Aaron Gavey near Christmas for 4 months with a leg injury. Our former goalie Mike Dunham made the rounds on waivers this season, and is now a Dallas Star. The Senators lost all-star winger Daniel Alfredsson for 6 months after a cheap shot from Darius Kasparaitis. San Jose deals 20 years old prospect Marcel Goc and young goalie Olivier Michaud to New Jersey for John Madden. Boston acquires Jason Chimera from Edmonton for prospect Martin Samuelsson and picks. This team fought, and fought, and fought until the very end. Until the 82nd game. All the way. But it was a painful ride. It was announced in early March that Denis Arkhipov would miss at least three weeks, so almost all the way to the end of the playoffs race. Veteran Kirk Muller filled in for him on the 3rd line. Throughout the stretch run, key players such as Scott Hartnell and Scott Walker also missed games due to injuries, adding to Gavey and Yachmenev, still out. March 21 - Great day as we win 4-3 against Calgary while PHX, DAL and VAN all lose. March 24 - We get another win (5 straight) against Ottawa, meanwhile Phoenix ties the Oilers 3-3. March 25 - Phoenix gets two points in a win against the Islanders. March 28 - Both Phoenix and Vancouver lose as another team appears in the race; the Kings have won 8 straight. Arkhipov is back. March 29 - We tied the Coyotes, fortunately Dallas loses to St.Louis. March 30 - Los Angeles ties the Wings 3-3, Vancouver loses yet again. March 31 - We lose against the Flames 4-3, meanwhile PHX and LAK both win! April 1 - Vancouver loses to Anaheim and are officially eliminated (1-8-0-1 in last 10). April 2 - Dallas wins, Los Angeles wins (LA are 9-0-1-0 in last 10). April 3 - Dallas beats Phoenix 7-3. April 4 - Huge game against the Kings that we LOSE, 3-0. Unbelievable. April 5 - We shut out the Wild 3-0 with a tired Vokoun! Dallas loses, Phoenix wins. Our defenseman Richard Lintner is suspended 8 games for injuring Matt Johnson of the Wild. Dang. Last two days of the season. Do or die. Everyone has 1 game left. We're in the lead (8th place) with 82 pts. Dallas is too far up now. Los Angeles has 80 pts, Phoenix too. I have no idea what happens if we're tied. Better get a point just to make sure. April 6 - Phoenix is done after losing to Anaheim, 5-3. April 7 - The fricking Kings beat the Sharks in OT, but we tie the Jackets 3-3! We're in! We did it! It was fortunate that we were facing the worst team in the league though. What a stretch run for the Kings, who miss the post-season by a hair! We had a great second half, and the Lindros, Zednik and Marleau acquisitions definitely change the outlook of our team, for the better. Tomas Vokoun also had a magnificent season for the most part, and we now consider him a top-10 goalie league-wide. Playoffs will be tough as the 8th seed, but we did make it, and that was the goal of this year. Mission accomplished! -Philly deals Justin Williams to LAK for scraps. -The Kings also get Markus Naslund from Edmonton for scraps. No wonder they had such a great run! -Tampa Bay acquires Martin Havlat from Ottawa for scraps. -Anaheim acquires Jarome Iginla from Calgary for scraps. -Buffalo gets Theoren Fleury, Rangers get Jason Pominville and Taylor Pyatt. A disaster of a game. They had control of the whole bout, and opened the flood gates in the 3rd. 3 points each for Forsberg, Drury and Sakic. Vokoun was very average, and was left in by Trotz for the whole game. Unfortunately, Orszagh was injured and will be out until next season's training camp. Martin Erat will replace him. The team manages to close down the spread at home, but still lose. Down 3-0 now. Not a good enough effort. Nashville pulls out a great defensive performance and squeeze out the win. Savard has 2 goals. Going back to Colorado! Vokoun stands on his head and Shean Donovan out of nowhere scores in overtime. Predators stun the hockey world by coming back into this series. Can they force a game seven? An absolute offensive festival is capped off when Scott Walker plays the hero late in the 3rd period. Both teams had been exchanging goals all game. The Cinderella Squad, as they are now being called around the league, hangs on, forces an ultimate battle in Denver. All good things come to an end. Lindros got injured early on in that game, when Suchy took a run at him, basically killing most of Nashville's chances. The big guns for Colorado stepped up. Interestingly, Colorado won all of their series in 7, whereas New Jersey, a little bit like last season when they won the Cup, only lost 3 times over the three rounds. It was going to be a great confrontation between two Quebec-born legendary goalies, Martin Brodeur and Patrick Roy, as well as two great offenses going head-to-head. In the end, Colorado proved to be better, winning their 3rd Stanley Cup (1996, 2001, 2003) in 6 games, beating the reigning champs. Chris Drury was awarded the Conn Smythe trophy. This very skilled center is all but ready for the NHL. He possesses great offensive awareness, hands, skating and two-way play. He is well on his way to becoming an all-star player in the NHL. Glic is an all-out offensive center that can pick corners from evrywhere. His compete level is very high and he should be able to put up a lot of points in the big league. Savage is a real speedster, so with that size he is very hard to handle. He has great offensive skills, especially his stick-handling. This Russian forward knows what it takes to score goals. He uses his size to his advantage to pick up pucks in the slot. He has a amazing wrist shot that he uses at will. Although's Belanov's defense might need a bit of work, the rest of his game is splendid. He has great vision, passing abilities and a big frame, which allows him to create a lot of scoring chances. The third russian forward in a row, Belov's offensive arsenal is impressive, but his all-around game will need some fine-tuning. A very smart two-way player with wheels that can play physical when the game gets chippy. Big, mobile goaltender with very fast legs. A small offensive powerhouse that loves to shoot from anywhere in the offensive zone. Needs work on D, not very physical. A great two-way winger that plays physical and can chip in some offense. Will need to work on skating. The Columbus Blue Jackets had the 2nd overall pick last year, after getting 58 points. Defenseman Grigori Lyapunov was their pick, and the Russian looks like he will be a part of the Jackets in 2003-04. But after making that pick, many experts were expecting the Jackets to take a big step in the standings, but they didn't. Far from it. Actually, they ended the 2002-03 season closer to some of the NHL's all-time worst teams, than to making the playoffs. In fact, the expansion team in Washington (1974-75) only got 21 pts in 80 games, to Columbus' 35 this last season. Hopefully, this upcoming 1st overall selection will help the Jackets improve in the coming seasons. The Jackets passed on Niedermayer, picking right winger David Savage in stead. Most experts are shaking their heads at this. Niedermayer ends up going to Calgary, while Russian sniper Vadim Sapozhinsky goes 3rd, to Atlanta, who had the first pick last year (Darcy Sutter). It will be interesting to see if ''Sapo'' and Sutter can developp some chemistry together, like Kovalchuk and Heatley have managed to do for them. Two big signings happened this summer; Brian Leetch signed with the Maple Leafs while Sergei Fedorov signed with the Blues, both for two seasons. The Blues already had a great offense, and adding Fedorov to that group puts them near Colorado or New Jersey in terms of forward depth. Also, Montreal acquired Kris Beech, a great, young, 2nd-line center, from Pittsburgh. Nashville also loses Kirk Muller to retirement. He is the only guy leaving off the current roster. Training camp wasn't all that interesting, as no rookies from the farm was expected to compete for a spot yet, and there really wasn't any place anyway. Barry Trotz expects to start the next season with the same group of guys that he had in the playoffs, plus Yachmenev and Gavey, who are now healthy. The Predators could have a decent season, as they'll have Lindros right from the get-go, and young, developing guys like Legwand, Marleau, Savard, Hartnell, Eaton, Timonen and Vokoun are all entering their prime. Former 3rd overall pick Boyd Long did not make the team despite another good showing in camp. GM Austin Killer said he will likely sign him to a contract late in February, when Long turns 20. At that point, it will remain to be seen if Long would join the Predators straight up, or report to the Milwaukee Admirals. Vladimir Orszagh will miss the start of the season. The following is an explicit list of all the league's top players, by teams. The Nashville Predators entered the 2003-04 season with high hopes, but the injury bug spread quite quickly among Barry Trotz' soldiers. So much that the first couple of months of this season were nicknamed ''Sick Bay'' by one Nashville-based sports media member. In a game against the Red Wings, late in October, defenseman Pavel Skrbek was lost for one month whereas David Legwand was lost indefinitely. It was later learned that he would be out until late May or early June. Huge loss for the Predators. Many more players missed a game or two here and there, and then on December 9th, Scott Hartnell got injured against St.Louis. He will be out for 2 months. The following week, GM Austin Killer decided to sign big-shot prospect Boyd Long in order to replace Hartnell in the line-up. He felt like he was the best option remaining considering there isn't that much talent on the farm as of now. At the half-way mark, only 8 Predator players had played 41 games. Despite that, the team still managed to lead the division with 23 wins, 54 points. Is this the year where the Predators join teams like Colorado and St.Louis as the top dogs in the West? In Milwaukee, Killer has said to be amazed by the progression of a trio of defensemen: Dan Hamhuis, Tomas Slovak and Alexei Vasiliev. Two deals happened - Ottawa dealt Daniel Alfredsson to Calgary for a 2nd and a 3rd while Detroit traded Kris Draper to Phoenix for a 3rd.